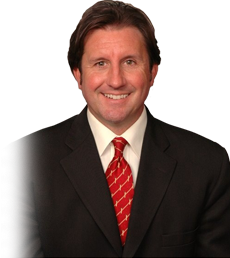 Daniel Beck, Personal Injury Lawyer in Detroit, accomplished the rare feat of winning 18 consecutive jury trialson behalf of his clients in personal injury cases in various courtrooms around the State of Michigan. In each of those victories, he was the sole attorney on the case, sometimes trying the entire case to the jury against two opposing lawyers. Confidential Settlement --- in a wrongful death lawsuit settlement on behalf of a retirement home resident who tripped and fell on an improperly placed hallway rug and died months later. There were no eyewitnesses to the fall, and liability was vigorously disputed by the landlords. Confidential Settlement --- in a wrongful death lawsuit involving the failure to diagnose bladder cancer which caused a 59 year-old plumber’s death. 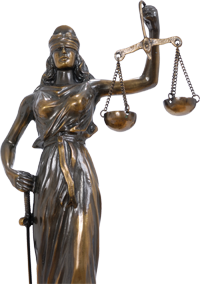 Confidential Settlement --- in another wrongful death case against a hospital for over-sedating an elderly patient undergoing a simple procedure, causing brain damage and her unfortunate death. Confidential Settlement --- to the family of a grandmother who fell off her seat on a shuttle bus, fracturing her hip and then dying from complications after the trauma, with no witnesses to the incident. The driver denied fault in causing the crash. Confidential Settlement --- in a wrongful death lawsuit settlement on behalf of a retirement home resident who tripped and fell on an improperly placed hallway rug and died months later. There were no eyewitnesses to the fall, and liability was vigorously disputed. $690,000 --- for a right leg injury sustained by a construction worker who fell into a hole in a building’s new floor left unguarded by plumbing subcontractors. $650,000 --- for the family of an elderly man who died in a traffic crash when another driver ran a red light. $600,000 --- as a result of multiple injuries to a woman who tripped and fell in a hospital parking lot pothole at night. $500,000 --- for a serious hand injury suffered by a landscaper who was using a hedge-trimmer which was improperly assembled at a tool rental business. $410,000 --- to a client injured in a car accident whose insurance company refused to pay her medical bills, including bills and expenses for home nursing care. $350,000 --- against a negligent truck driver who struck a bicyclist causing him severe neck and arm injuries. $290,000 --- in a case against a no-fault insurer for unpaid wage loss, household replacement service, and family provided attendant care benefits arising out of a car accident. $250,000 --- against a department store for a slip and fall on “Black Friday” suffered by a customer, resulting in a fractured kneecap. $225,000 --- on behalf of a woman involved in a multiple vehicle crash who sustained head and back injuries. $225,000 --- in a settlement on behalf of a car crash victim who suffered head, shoulder, and arm injuries in the accident. $211,000 --- awarded by an arbitration panel in favor of a client whose no fault benefits were improperly denied and underpaid by her auto insurance carrier after a disabling collision. $200,000 --- to a heavy equipment operator who was injured as a passenger in a car crash which occurred at an intersection as the light was turning red. $180,000 --- in an arbitration award in favor of a client suffering knee injuries after being struck by a drunk driver. $160,000 --- against an auto insurance company for unpaid medical bills, household services benefits, and family provided attendant care rendered to an auto crash victim. $150,000 --- for shoulder injuries to a client who was broadsided by a reckless driver who had no insurance on his car. $130,000 --- in a slip and fall settlement against an apartment complex for failing to fix a faulty downspout which caused the formation of extensive sidewalk ice and led to a tenant’s knee injury. $100,000 --- in favor of a woman struck by a careless driver in a rear-end collision.